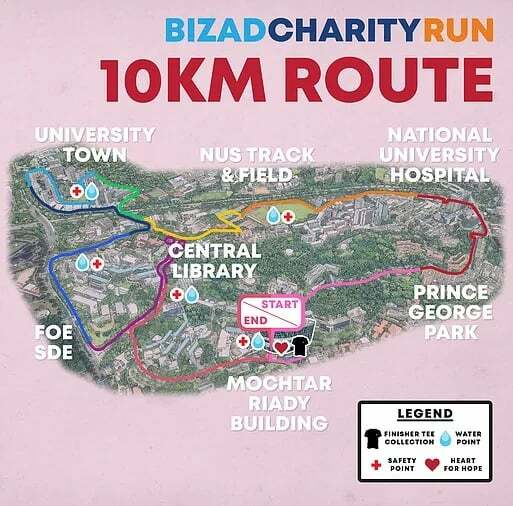 Review: NUS Bizad Charity Run 2019 [10 Km] (by stargazer) | JustRunLah! 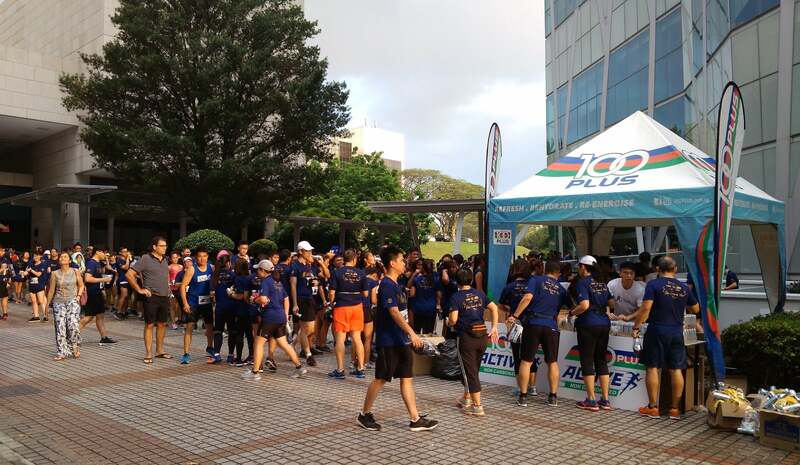 The NUS Bizad Charity Run is a fundraising event organized by the NUS Business School Alumni Association and Bizad Club. 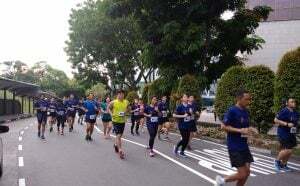 Their aim is to raise funds for those in need while promoting the spirit of contributing to the community by rallying students, staff and alumni of NUS Business School and their friends. The run is categorized into 10 km competitive and 5 km fun run. I had long read how tough the NUS Bizad Charity Run is, with its ‘notorious’ slopes. Hence this year I decided to try out the route, which is also a refreshing change from the usual race routes. I chose the 10 km route, which covers the entire NUS campus. The route itself is seemingly categorized into 6 sectors, as depicted below. 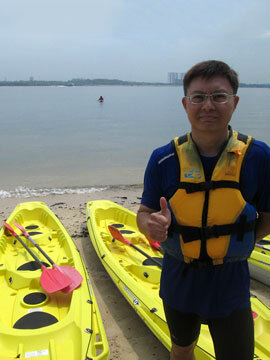 On 12 Jan race day, I took the Circle Line and alighted at Kent Ridge MRT Station. I took NUS shuttle bus A2 which brought me to the Prince George Park (PGP) Residence – its final stop. There was no PGP Terminal in sight, whereby I was supposed to retake A2. Feeling clueless, I asked the Residence security officer for advice, who then directed me to a 3 mins walk to the PGP Terminal just up the slope. Bus A2 came shortly and I boarded, a 2 stop away to the Hon Sui Sen Memorial Library near to the race venue. I was already late at 4.45 pm when I saw the 10 km runners had already been flag off. Hence I had no time to explore the race village. I quickly did my warm up and commenced my run towards the steep slope of PGP. And what a tough start to the race! I was then directed towards NUH. 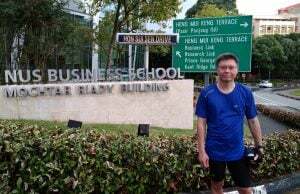 This is actually my first time running outside the compound of a hospital, after emerging out from an underpass at the Kent Ridge MRT. The route here is generally flat, till I reached the University’s track and field. Even though it was already late afternoon, there were still many students enjoying the various sports activities. The route towards University Town and FOE encompasses quite a number of slopes and staircases. It is certainly a challenge for me to keep to my running pace. By approximately 8 km, I decided to take it easy and embark on a mix of running and walking. It is also good in a way to slow down and enjoy the NUS surroundings. 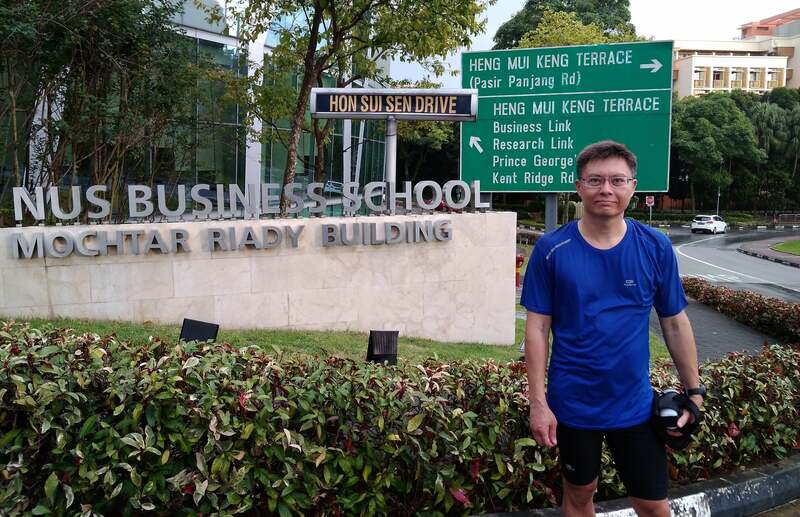 I am not NUS alumni and it is great to be able to visit some of the facilities, such as Runme Shaw Studio and Central Library during the run. There were hydration points approximately every 2.5 km along the route, providing the runners with choice of 100 plus and water. However, the floor was generally littered with used cups due to seemingly lack of disposal bins. The last stretch of 2 km to the Finish Point at Mochtar Riady Building took the longest as I had begun to feel exhausted. It was along this route where I saw a young runner being stretchered into the ambulance. I hoped he is all right. I crossed the Finish Point just as it began to rain. I was fortunate not to be caught in the downpour and took a well deserved rest, before leaving NUS campus after the rain stopped. The volunteers were great. Most of them were encouraging and provided directions along the run. 2. There was lack of disposal bins or trash bags at the hydration points. 3. It appears there was a lack of distance markers. Without activating my Runkeeper, I can only estimate how far I had run and the remaining distance. Overall, I think this is a good run. A refreshing route to be challenged once a year!